What is Federal Student Aid? Your financial aid award is for the University of Hawaiʻi at Mānoa and is not transferable to another institution. Your financial aid award is based on full-time enrollment (12 credits for undergraduates, 8 credits for graduates, and 12 or more credits for Law/Medical professional students). If you are not enrolled full-time, you must immediately notify our office in writing to prevent an overpayment award. Please let us know your expected number of credits for that semester when NOT at full time via email, or submit the Enrollment Form (under the Miscellaneous section). Your financial aid award will be based on full time status at the University of Hawaiʻi at Mānoa (12 credits for undergraduates, 8 credits for graduates, 12 or more credits for Law/Medical professional students). If you are not being charged tuition for a course(s), an adjustment will be made to your budget and your aid may be adjusted. Your financial aid disbursement will be pro-rated based on your enrollment. If you are not or will not be enrolled as a full time student, you will need to complete the Financial Aid Enrollment Form for each term and submit it to Financial Aid Services by the deadline on the form. To receive Federal loans, you must be at least half-time. Graduate Students are considered at full time for Financial Aid purposes at 8 credits, even though your department may have a differing credit definition. (For example, Graduate Students receiving a tuition waiver are considered by the Graduate Division to be full time when at 6 credits, but Financial Aid is still based upon 8 credits). Please let us know any time you are not at full time for financial aid purposes, as your eligibility will be recalculated. *If you will be concurrently enrolled at the University of Hawaiʻi at Mānoa and at one of the Community Colleges, you must be enrolled for at least 6 credits at the University of Hawaiʻi at Mānoa in order to be eligible for financial aid. If you would like your Community College courses to be counted toward your University of Hawaiʻi at Mānoa enrollment, you will need to complete the Community College Enrollment Form for each term and submit it to Financial Aid Services by the deadline on the enrollment form(under the Miscellaneous section). Due Date: Must be received at the Financial Aid Office by the appropriate deadline. (If form is not received by the appropriate deadline, courses will not be considered for financial aid). Forms received from other departments after the deadline will not be reviewed. You must be enrolled in both your CC and your UH Mānoa classes when you submit your form. Must be enrolled in at least six credits at University of Hawaiʻi at Mānoa for each semester. If twelve or more credits at Mānoa, we will not include community college enrollment; therefore, do not submit this form. You must be enrolled in the courses listed below at the time of submission; otherwise this form will not be processed. You must pay for your Community College courses separately. Enrollment in these courses must be maintained for the entire semester. If a change in enrollment/courses occurs at your Community College prior to the enrollment freeze date, a new Enrollment Form must be submitted, otherwise your awards will be based ONLY on your UH Mānoa enrollment. Students must be enrolled at least half-time at UHM to be eligible for financial aid. The Manoa Opportunity Grant will be prorated based on UHM campus enrollment. Full-time enrollment at UHM campus is required for Chancellor/Centennial Scholarship, Kua'ana Scholarship, and Manoa Service Award. Community College enrollment cannot be included. NOTE: Your Community College Enrollment Form must be signed by your UH Mānoa academic advisor. Please go to http://www.hawaii.edu/fas/forms/ to obtain the Community College Enrollment Form. Please refer to the deadline on the Community College Enrollment Form. Late forms will not be accepted. 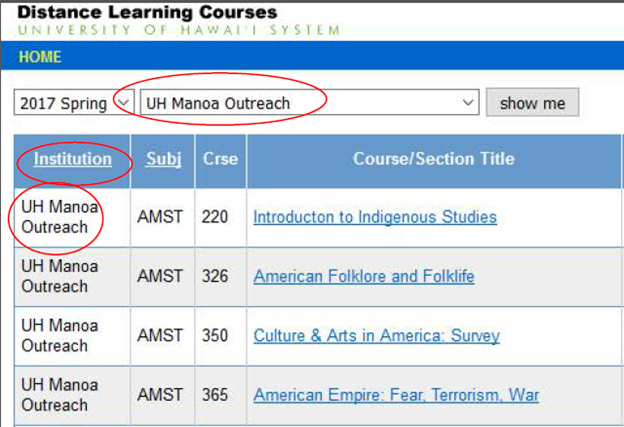 If the Outreach College course is listed as a UH Manoa course(s), it may be counted towards your financial aid enrollment. The course(s) must be applicable towards your UH Manoa degree. Your disbursement may be delayed due to courses starting later than the normal semester. Your financial aid may be adjusted due to courses starting and ending at different times. Your financial aid may be adjusted due to different tuition and fee charges. Your financial aid adjustments may be made after you receive your refund. Please review the Financial Aid policy. Courses that do not count toward a student's degree cannot be used to determine enrollment status for financial aid purposes. Students may receive aid to repeat a previously passed course one additional time. Each semester, Financial Aid Services will evaluate your enrollment status for financial aid purposes on the last date for 50% tuition refund. Please refer to the Financial Aid Important Dates & Deadlines on the home page for the actual date. Before this date, your aid may fluctuate depending on the number of credit hours you are registered for. Dropping credits after your aid has been disbursed may result in a revision to your financial aid award and a balance owing to the Cashier’s Office. On this date, your financial aid will be based on your UH Manoa campus enrollment as of this date and will no longer fluctuate when enrollment changes occur, except for students who officially or unofficially withdraw from all courses during the semester. 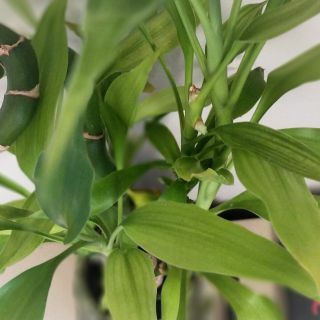 (For additional information on officially or unofficially withdrawing from all courses during the semester, please refer to the financial aid website at http://www.hawaii.edu/fas/policies/withdrawing.php). If your enrollment decreases after this date, (i.e. withdrawal from a course), you may jeopardize your continuing financial aid eligibility, due to not meeting satisfactory academic progress. If you are enrolled after this date, you may be eligible for limited financial aid. If your enrollment increases after this date, only student loans may be adjusted. Please check MyUH Services to make sure you are registered for the courses you intend to be enrolled in.